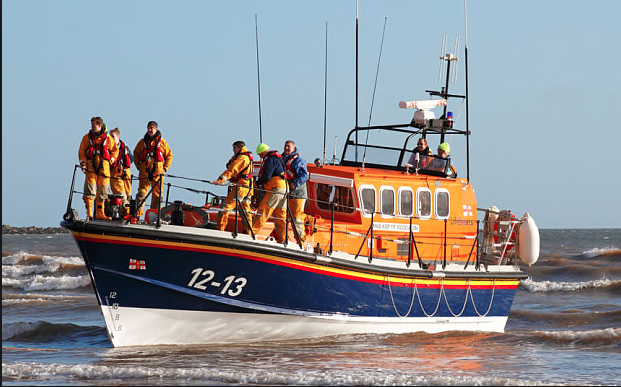 Filey’s heavy duty lifeboat was launched yesterday to assist a ship that was experiencing engine problems. The Coastguard received a call, an urgent but not distress signal, just after 3.30pm of the vessel suffering engine trouble and contact the RNLI at Filey. The all weather lifeboat was launched to assist with the vessel, the crew of which were also concerned about being blown on to the ‘Old Horse’ rocks, just north of Filey Brigg. The vessel, ‘Our Lad,’ which was travelling from Whitby to London, was found a mile off the coast and the crew had managed to restart the engine. It was escorted by the RNLI to Scarborough, where they were met by the coastguard team so repairs could be made. “The crew of the motor vessel were right to call for assistance when they started experiencing engine difficulties.